When it comes to finding medical advice the internet has become the first source that millions of individuals rely upon to research their health questions. As these numbers have increased, so too have the number of critics that, often times unfairly, criticize or otherwise deride homeopathic medical websites. Yes, the claims of those chastising alternative medicine sites are, in some small number of cases, true. There are certain homeopathic sites which are shallow in terms of content and which purpose is to entice visitors to purchase a particular product. That said, however, it is also important to make mention of the fact that these types of sites do not make up the majority of those dedicated to the home remedy segment. Unfortunately, those that criticize all homeopathic sites do so blanketly and unfairly leave the impression to their readers that all such sites are devoid of quality and reliable medical advice. Let us take as an example this website, homeremedieslog.com. 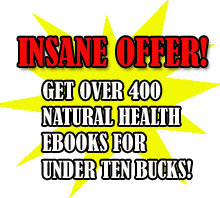 It was founded for the primary purpose of helping those seeking natural health alternatives become informed. After all, the more informed that one is about one’s health, the better prepared that one will be to make prudent decisions about treatment and prevention. To that end, many hours are dedicated to this website keeping it maintained with fresh and relevant content. Research is continuous, material is constantly being curated and vetted for relevance and accuracy. This is done for the express purpose of putting forth the best information possible to our audience. So then… what should you look for to find reliable home remedies online? Look at the frequency of fresh posts. Also, look at the length of each post. Serious home health advice sites, such as homeremedieslog.com, will have a large collection of posts, each being rich in content and full of valuable information. No amount of information will be useful if it is presented in a confusing or aloof manner. Seek out websites that are written with their readers in mind. They should respect the intelligence of their readership by not needlessly “dumbing down” key information, but they should also not burden the reader with unexplained or overly complex terminology. Basically, the reader should feel informed and empowered after reading a post. The information should flow easily and any advice that is dispensed should allow enough of a margin for each individual reader to make his or her own determination as to its suitability for their particular malady. While a home remedy site that is cluttered with advertising might be indicative of less than stellar quality; this should not be a reason to avoid all homeopathic sites simply for containing some reasonable amount of ads. It is important to keep in mind that even the largest and most prestigious reference sites on the internet rely on some form of advertising to remain in operation. 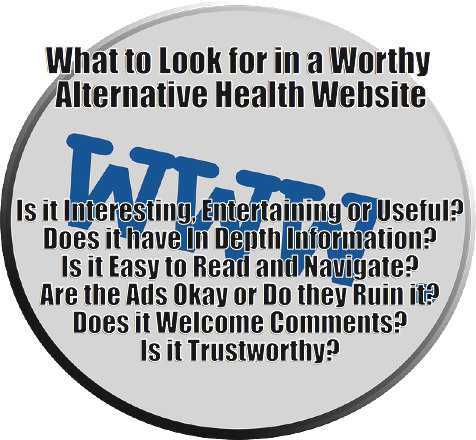 As such, it is perfectly reasonable to expect normal amounts of advertising on alternative medicine sites just as one would on traditional medical sites. A website that dispenses advice on home remedies and other aspects of natural health should be inviting of input from their readership. This is why, here at homeremedieslog.com, we openly solicit and happily post comments from our readers in all of our articles. This helps keep any advice honest and also adds to the value of the information that is provided by allowing for communal nurturing and curation. Many times reading how a particular piece of medical advice helped another reader, or how they tweaked a home remedy themselves to be more effective, yields a greater degree of insight than the original article itself. Comments not only keep the site honest, but also add a metric for measuring the value to the health information that is being dispensed. As with everything that is online, it is important to be selective of the sites that we trust. This is especially the case when health questions and the dispensing of medical advice is involved. However, the same way that one does not stop driving a car merely because a particular model experienced a recall, neither should you stop availing yourself of the vast research power that the internet represents in seeking and evaluating home remedies. By properly vetting the sites that you trust for this task you will be able to have access to the key information that you need to stay informed about your own health. Be it through this site, or other similar sites which use the same high standards as we do, do not deny yourself the value of informed advice merely because the actions of a few industry bad apples have been circulated as “commonplace” by biased forces. 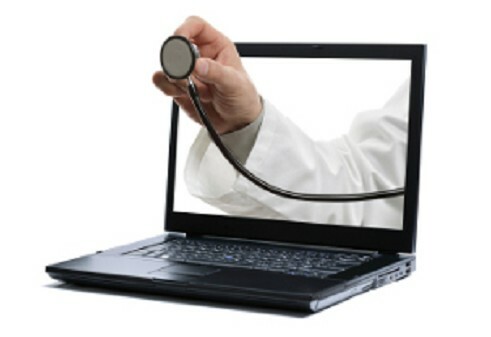 It is your health, it is your internet. You should harbor neither fear nor shame in prudently using homeopathic medical websites to search for sound medical advice.